Why should you stand in Wu Chi (Wuji) before performing your Tai Chi set? Wu Chi is the first standing posture before you begin the physical movement in most Tai Chi styles and forms. Properly standing in Wu Chi helps to train the basic physical structure and alignments of the body while activating the energy. The Wu Chi alignments are made prior to starting your Tai Chi moves and then the Wu Chi physical and energetic alignments are supposed to be maintained while you practice your Tai Chi set. Wu Chi (Wuji) translates as No action Energy. The “Wu” No action refers to the fact that there is no external physical movement while you are standing in Wu Chi. The “Chi” or energy refers to the fact that the energy is activated even though there is no physical movement. Together Wu Chi refers to the idea that the energy is activated and moving even though there is no physical motion. 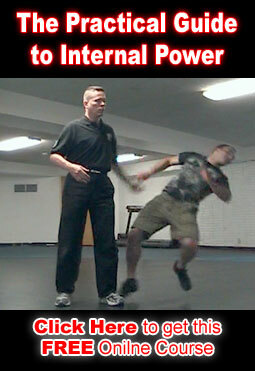 Standing in Wu Chi is designed to build Chi energy and to internally circulate Chi energy. Proper Wu Chi Physical Alignment from head to toe specifically benefits you by aligning your spinal column. This Improves Respiratory and Vascular Circulation. Wu Chi alignment in the body also Improves Oxygen flow to all of the cells of the body. Wu Chi Enhances Proper Nervous System Function and Combats Neuropathy (loss of nerve function and feeling). Properly standing in Wu Chi Alleviates Arthritis and Arthritis symptoms due to the the flow of Chi energy heating up the synovial fluid between the joints. Wu Chi Enhances Mental Concentration and Focus as you stand there and relax with your mind quiet and calm while the energy flows due to the proper Wu Chi physical and energetic alignments. 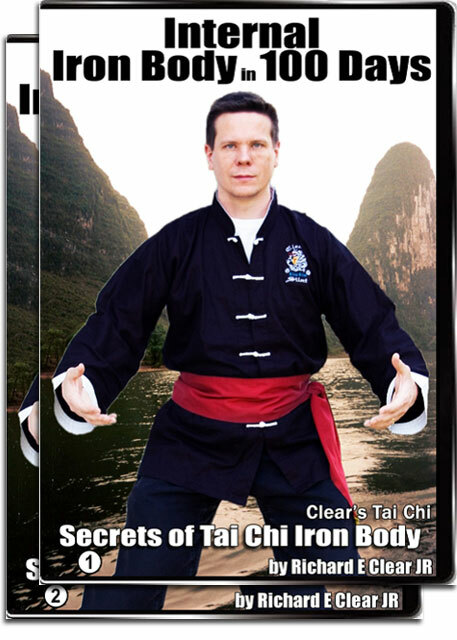 To learn the 10 essential steps to proper Wu Chi practice click here or you can check out my book: Chi Energy: Activation, Cultivation and Flow and the accompanying DVD. I find standing in the wuji posture to be of great importance and practice. While the posture may appear physically simple, the details required to maintain correct structure and alignment are complex. Check out tomorrows post for more about the importance of correct structure and alignment. Some of the experienced practioners suggest to keep the feet shoulder width apart when doing Wu Chi. The body allignment is achieved by keeping shoulders under ears under feet under shoulders. The feet are kept parallel to each other. To your mind, is it correct to do Wu Chi in that way? Or, it’s necessary to keep feet together while standing in Wu Chi. We do Wu Chi both ways. Actually the Wu Chi alignments would ideally be happening throughout your entire set. In all the different positions you move through in the set. So all this mean that the body makes no movement whereas the energy in the body does move. I know how to feel and move energy (chi) and i teach them too. The wu chi i believe will help me a lot. While many teachers skip this important practice and only teach the forms, I really appreciate Sigung Clear’s teaching all three pillars of Tai Chi, i.e. Wu Chi, the forms and Push Hands. It was not until I began to practice Wu Chi that I began to see real progress in my form practice. You all are very generous to offer so much excellent instruction for free on the internet. I hope to impress on my patients how important these practices are for health and longevity. I really believe that this is one of the keys to solving the problem of chronic health complaints in this country. Again, thanks. What is the optimal duration for standing in Wu Chi ? Like so many of the Internal Practices, the “optimal” time to remain in Wu Chi depends on a whole bunch of factors. Truly the optimal time is however long it takes you to get what you wanted from your Wu Chi. That could be anywhere from few seconds to a few hours, depending on what you were after and your current level of skill.